Love Walsall meet in various capacities each month. We’d love for you to connect with any of them. Please get in touch to find out more information. 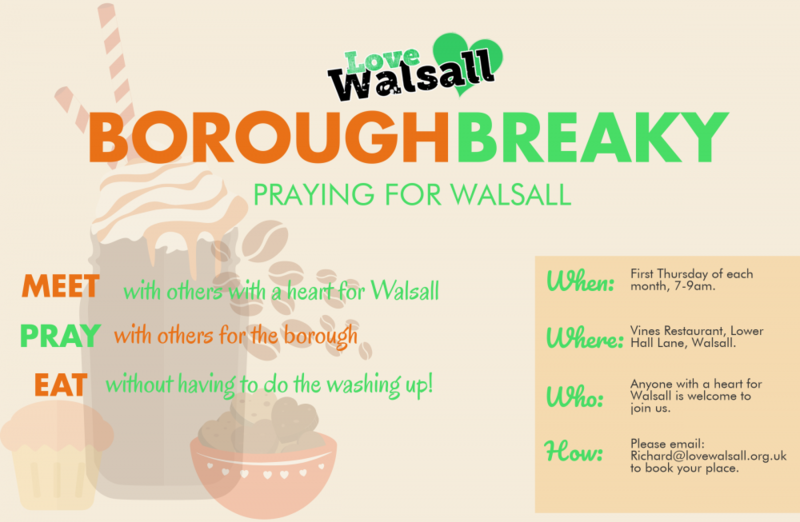 We’d love to help you work with others to see the borough of Walsall transformed. On the first Thursday of every month, a whole host of Christians from around the Walsall borough gather for a borough wide breakfast at Vines Restaurant, Lower Hall Lane, Walsall. Please email richard@lovewalsall.org.uk for more information and to book your place. A large number of Walsall church Leaders meet together monthly to see how we can serve our area together. This gathering is called Catalyst and is organised by Steve Kirk. Aimed at those with responsibility in the church in Walsall, Catalyst is intended to be a time to encourage and be encouraged, an opportunity to be further equipped and a place to celebrate what God is doing in our borough. Please email us to find out how you can get involved with Walsall’s Leaders network. 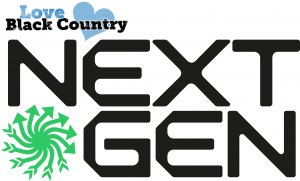 Our LBC Next Gen network helps to connect kids and youth workers across borough of Walsall. Please click here to find out more about the Next Gen Borough Hubs for Walsall. Please contact deb@loveblackcountry.org.uk for more information about how you can connect with Walsall’s children’s and youth Borough Hub.